Ever think of enrolling your aging parents in volunteer service? There are plenty of volunteer options in and around Lexington and Waltham, MA that suit older adults. Studies of older volunteers revealed that volunteering often has a positive effect on a senior’s mood, sense of worth and even her physical health. Having a sense of purpose in life was correlated with lower mortality rates in older adults. People living with chronic pain reported less pain after volunteering with other pain sufferers, and older people who volunteered after a heart attack reported more relief from despair and depression. 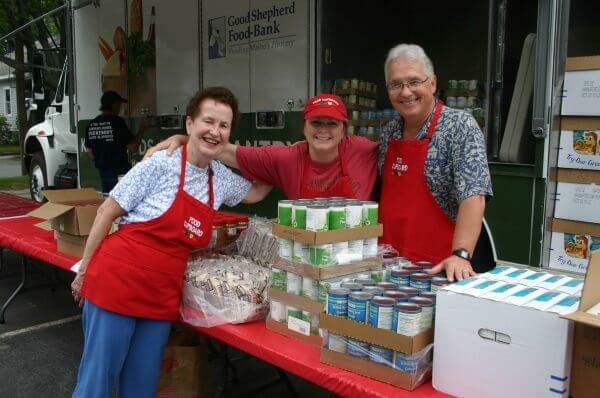 SOAR 55, Service Opportunities after Reaching 55, is a program of Newton Community Service Center, and part of a national network of volunteer agencies that mobilizes adults age 55 and over. Here’s a scary stat from The New York Time’s. The suicide rate for Americans over 65 is almost 15 percent. One of the reasons it’s that high is social isolation. Getting your aging parents involved in volunteer work or events guarantees a certain amount of social interaction. It gives that much needed sense of purpose many people lose when they retire or can no longer participate in activities that used to connect them to the community.